Chalcedony is a cryptocrystalline form of silica, composed of very fine intergrowths of quartz and moganite. 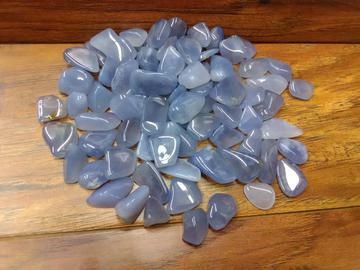 Chalcedony is great for promoting a sense of peace and joy. As a member of the Quartz family, Chalcedony carries similar properties, such as cleansing, healing, and balancing. Chalcedony helps to relieve one of negative emotions, bringing a greater sense of overall happiness into one's life. Size - 3/4" - 1 1/8"